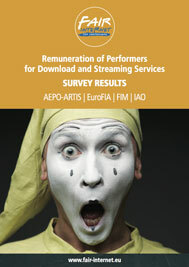 Nacho Garcia Vega, Spain | Fair Internet for performers! “Performers all over the world start to be tired of this unfair situation. It cannot last much longer”.